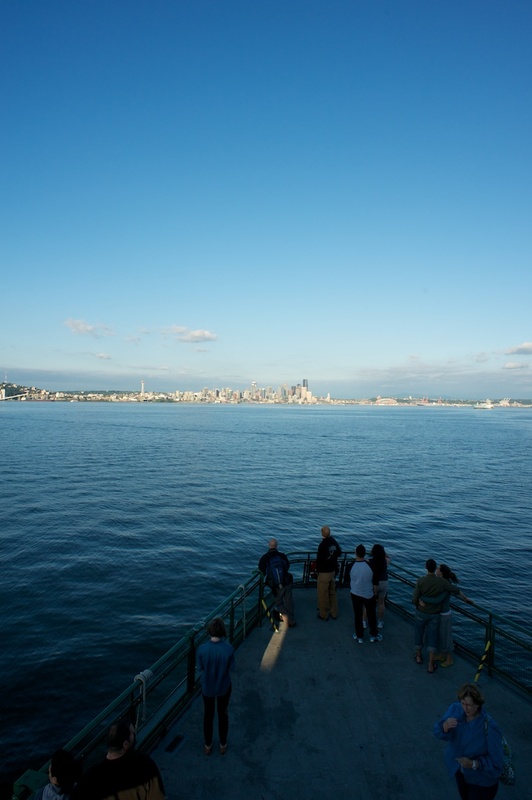 Though my parents lived in Seattle for a number of years before I was born, my only contact with the city was in waving goodbye to the skyline as our cruise ship disembarked on its way to Alaska--this cruise was a college graduation present, which is to say, years ago. Seattle is a mere three and a half hours north of Portland; in fact, you take one highway for the entire drive. Being a former East Coaster who lumped all of the Pacific Northwest into one package (Cascadia, anyone? 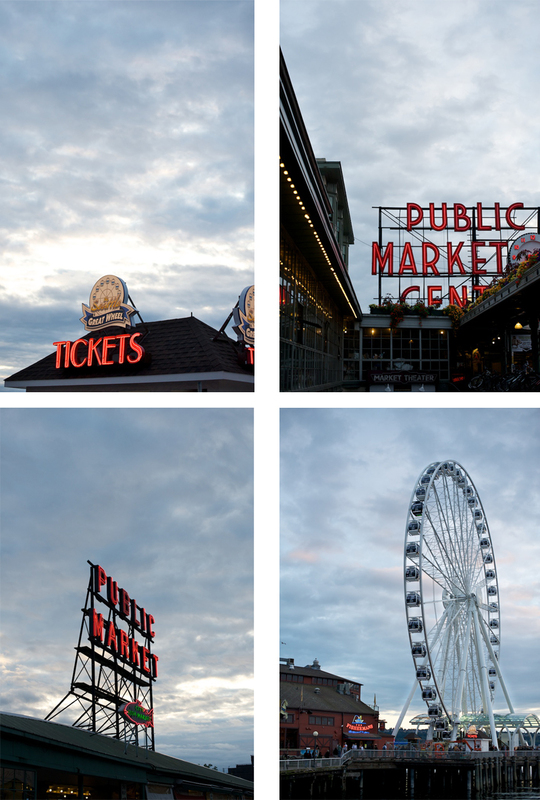 ), I thought Seattle would feel like Portland, only bigger. 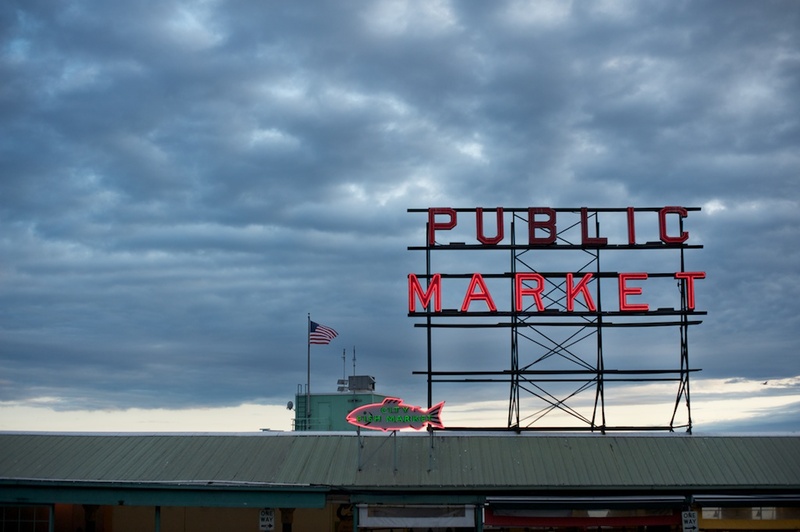 Yes, Seattle is much bigger than Portland, and with size comes tourists, chains (Subway and Starbucks, especially), and the challenge of finding the city's gems (hint: escape downtown as quickly as possible). Instead of feeling like a large-scale Portland, it felt like a city in a slight transition as it moves out of its grunge era and into its new role as a technology hub. 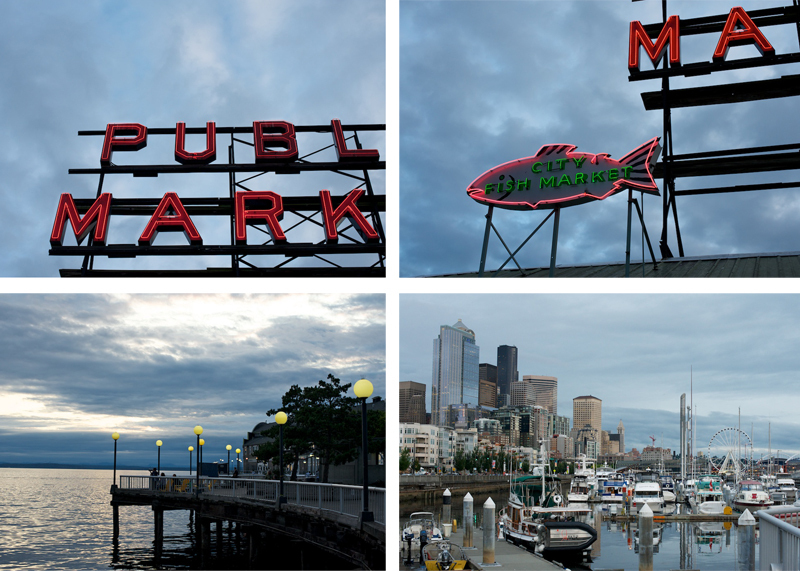 Seattle is a city of distinct neighborhoods--we enjoyed wandering the Capitol Hill neighborhood, specifically The Elliot Bay Book Company and the Melrose Market. 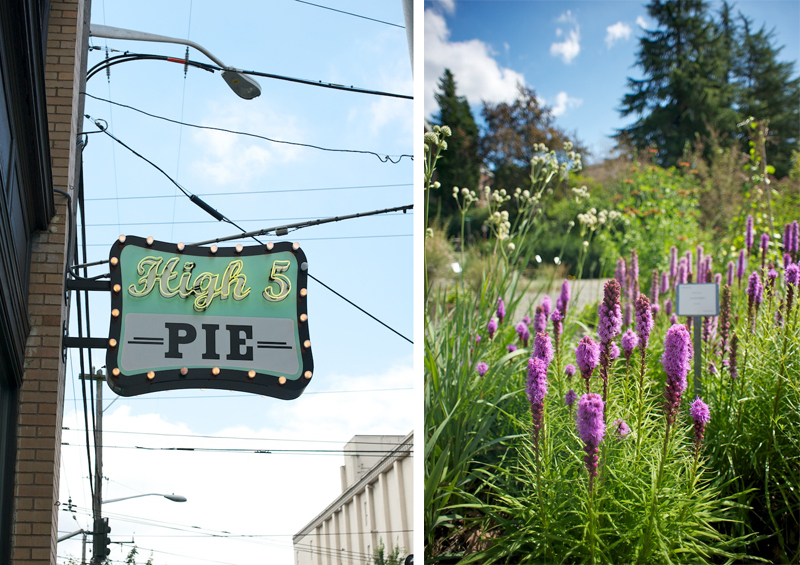 We made a fun detour to the Fremont neighborhood to enjoy coffee and baked goods at the outstanding Milstead and Co. 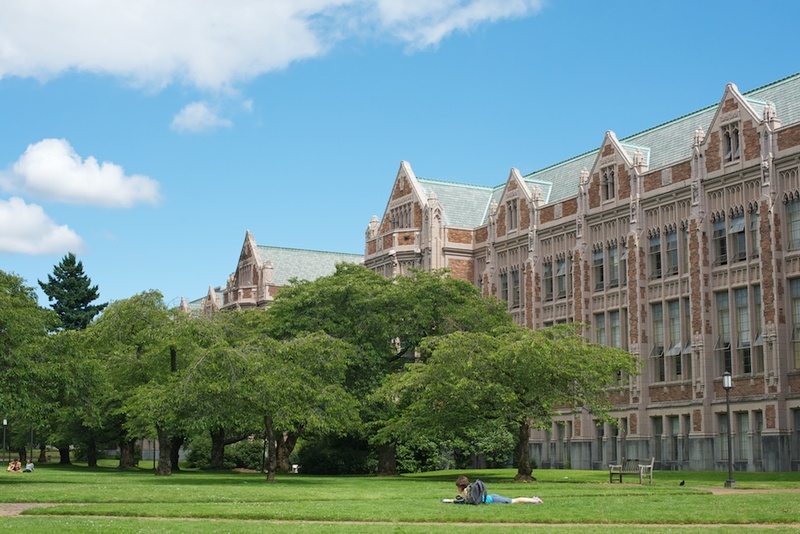 Though our visit was short, we also carved out time to wander the University of Washington's campus. My mother was a doctoral student there and I took pleasure in scouting out her former academic building. 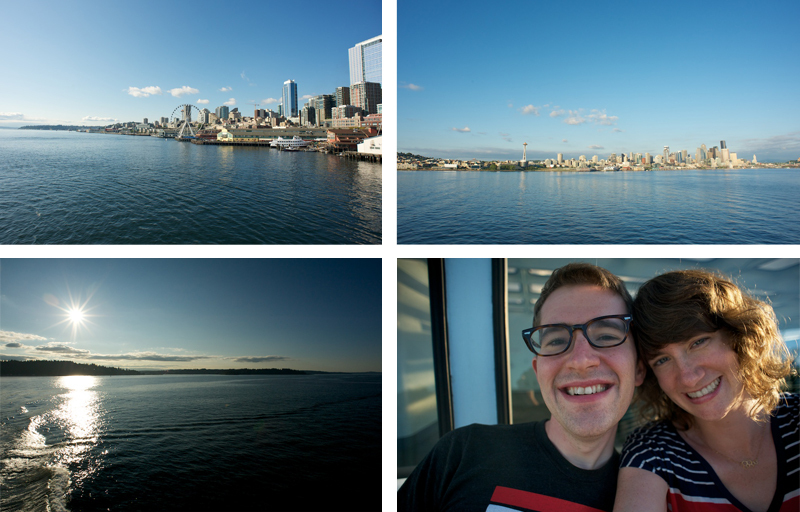 The most lasting memory of our quick trip to Seattle was the ferry ride to Bainbridge Island. The sun was beginning to set across Puget Sound, though it was still warm enough to keep goosebumps at bay from the ferry's breeze. It was equally enjoyable to watch Seattle become smaller and smaller in the distance, and then become life-size again, as we returned. Stay: The Hotel Max: This hotel is downtown, though luckily closer to Capitol Hill than Pike Place. 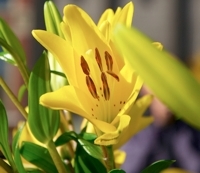 The staff was alert and accomodating, and the rooms, while small, were comfortable and quiet. Eat: Homegrown: A sandwich shop with three locations. They source local vegetables and dairy, use antibiotic free meat (from co-ops like Carlton Farms) and put together a winning sandwich. Poppy: Poppy takes the Indian concept of thalis (a collection of small flavorful dishes, served in combination) and applies it to seasonal, Northwest ingredients. Though the meal came out slowly, all previous agitation was forgotten, as we sampled each others dishes. The fried eggplant appetizer is worth the visit alone.